VRC works with many types of organizations. Following is a list of our preferred partners to help you with your clients’ needs. Do you close on holidays? VRC is open 24/7, 365 days a year; rain or shine. Our doors never close and you can always count on us to be available for your pet’s needs at all times! Does it cost more to bring my pet through the ER? The ER consultation fee is no more expensive than consultation fees of other departments within VRC. Fees associated with a given category are equal across all departments (e.g. hospitalization, medications, and diagnostics). How does the process work when I arrive? When you arrive you will be directed to speak with one of our emergency nurses. They will first ask you a few questions about your pet and will later bring him/her to the back for our doctors to perform a physical exam. Will there be a long wait in the ER? When the ER is busy, your pet will be seen on the basis of need. A triage nurse and ER doctor will make an initial assessment of your pet’s needs within minutes of your arrival. Pets that are experiencing emergencies and need immediate attention will take priority. If all of our current patients are equally stable, they are seen in order of arrival. If other pets are being seen before yours, this is good news as it means your pet is not as sick as some of our other patients. Who will be seeing my pet? Our excellent and experienced emergency doctors or critical care specialists will personally perform a physical exam on your pet. They will also be sure to come out and speak with you afterwards with an initial diagnosis. Is anyone caring for my pet during the night? We have veterinarians and nurses available in the hospital 24/7, 365 days a year. Your pets are always being looked after and cared for while they are in our care. How often will my dog get walked while (s)he is in the hospital? Our patients are walked regularly. We have areas surrounding the hospital that allow for seamless transition from inside care to bathroom breaks and appropriate exercise outside. Typically, our patients on IV fluids are walked at least every 4 hours. Can I visit my pet if he/she has to stay in the hospital? We encourage visiting with your pet while (s)he is in the hospital and always do our best to accommodate those who wish to do so. Your pet misses you as much as you miss him/her! We do ask that you discuss a visit with your doctor or call ahead to arrange a time so that we can best accommodate you. Should I bring my pet’s own food, medicine or blankets/personal items? It is helpful to bring your pet’s food and medicine while (s)he is in the hospital. If you do choose to bring personal items, we recommend not bringing anything of sentimental value. We have plenty of comfortable bedding here, so there is no need to bring your own. Please understand that if any items become soiled, they will go into our laundry and we cannot guarantee their return to you. We also suggest asking your veterinarian prior to bringing any toys to make sure that they won’t interfere with your pet’s treatment. Will my veterinarian be kept updated on my pet’s care? Your veterinarian receives regular updates from our emergency/critical care doctors during hospitalization. 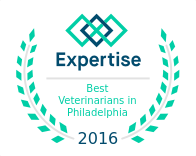 Our goal is to work closely with your veterinarian to ensure seamless care for your pets while they are at VRC. Your primary veterinarian will receive the details regarding our physical exam, any diagnostic tests performed with the results, and the recommended treatment plan. If your pet is admitted to stay overnight, then your primary veterinarian will receive twice daily updates. What if I cannot afford my pet’s care? Here at VRC, we understand that medical costs can be extremely difficult, especially when they are unexpected. Should you choose to do so, you may apply for CareCredit. This is a healthcare credit card designed for payment of your veterinary needs. It’s a way to pay for the costs of treatments and procedures in manageable monthly increments. Please talk to your doctor or a member of our client services team at reception to learn more. Previous Previous post: What Should I do When My Dog Has Been Bitten by Another Animal?